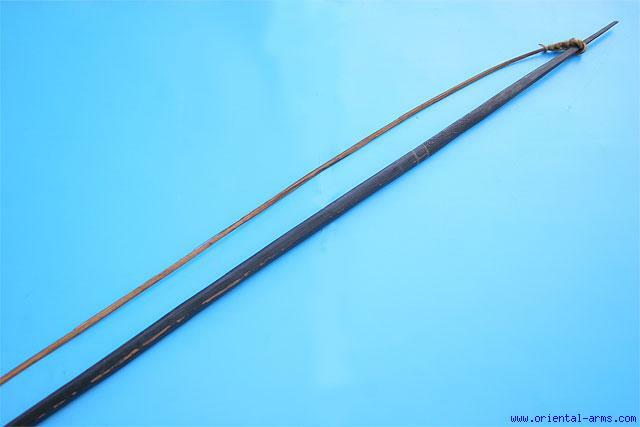 This wood bow is 77 inches long, painted black, with original string made from Bamboo, from Papua - New Guinea. Good condition. Some losses to the paint and some rattan binding are missing. There is an old crack in the wood (see arrow), hence it is not recommended to charge the bow.